A routine visit to Chapel Hill usually involves the following: at least one, if not more than one, wine tasting; a couple of fabulous dinners made by my sister in law; and more delicious desserts than I care to remember! Needless to say, its hard to want to go out to eat. However when we do, we frequent the ones listed below. 3 Cups Coffee – combo of wine, tea, and coffee shop. Each cup of coffee is made from freshly ground and made to order coffee. Check out their various tastings. 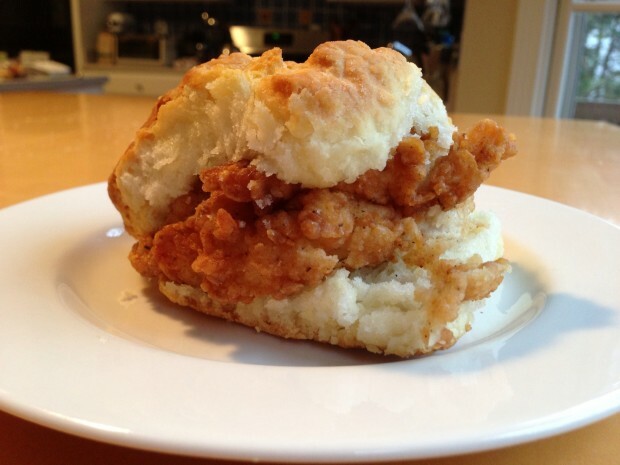 Sunrise Biscuit Kitchen – a line of cars is always found weekend mornings around this Chapel Hill drive-thru biscuit shack (as well as down the road depending on the time). The biscuits oversized, flaky yet moist and wonderful. Recommend the sausage and egg biscuit and the hash browns. Foster’s Market – gourmet food market and cafe from chef/owner/cookbook author Sara Foster. Great place for foodies to head to for a weekend breakfast or brunch. Pepper’s Pizza – funky pizza place on Franklin Street next to UNC’s campus. As much fun for the vibe as for their thin crust pizza. Milltown – gastropub in the Carrboro area with 18 specialty beers on draft and about 150 others from around the world in the bottle. Give North Carolina’s own Highland Brew a taste. Original Q Shack – one of our traditions when we visit Chapel Hill is to head to the Q Shack. Not your typical East Carolina BBQ, this place serves up Texas style brisket and St. Louis ribs. The multiple high quality side dishes separate this place from the typical BBQ joint, where the side dishes are barely an afterthought. Recommend the pulled pork sandwich with cole slaw, the beef brisket sandwich, the onion rings (slightly better than their fries) and the hush puppies. Wash it all down with a Cheerwine soda. Sandwhich – funky, eclectic, gourmet Chapel Hill sandwich shop. The Outrageous B.L.T. 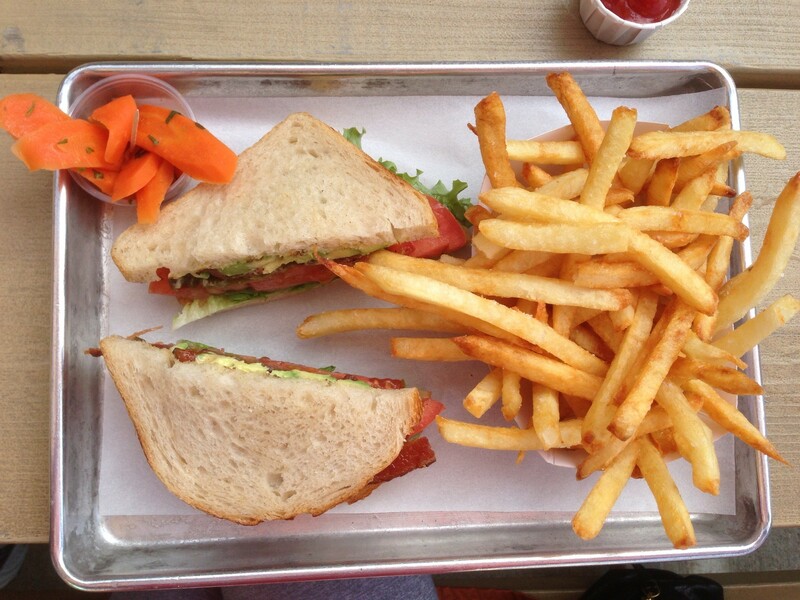 is a must – a B.L.T. with fire-roasted jalapeno and avocado. Watt’s Grocery – local, seasonal ingredients are featured in this Durham lunch/dinner restaurant. Nice zinc bar and decor (casual but classy) as well as fantastic sandwiches. Recommend the Pastrami Reuben. Lantern – perhaps Chapel Hill’s best restaurant, this Asian fusion has been featured in Food + Wine and Gourmet magazine recently. Chef/owner Andrea Reusing was nominated for James Beard Award for best chef in the Southeast in 2010. A Southern Season – one of the largest specialty grocery stores in the country and a foodie haven. Everything from kitchen wares, cheese and olive bar, artisanal goods, coffee, chocolates and a huge selection of quality beers and wine. Weaver Street Market – small eclectic co-op grocery and market with a hippie vibe in Carrboro featuring goods from local and organic farms.